Police abuse of civil asset forfeiture laws has shaken our nation’s conscience. Civil forfeiture allows police to seize—and then keep or sell—any property they allege is involved in a crime. 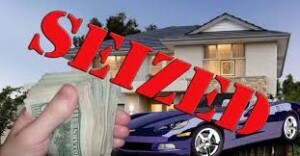 Owners need not ever be arrested or convicted of a crime for their cash, cars, or even real estate to be taken away permanently by the government.